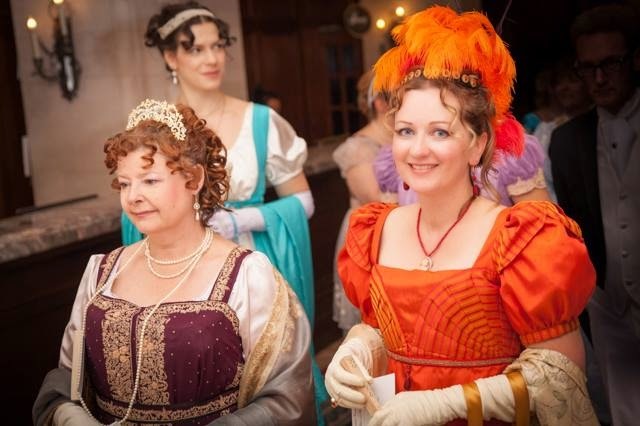 My guest today is Tara Rout, who is here to share an opportunity to attend a Regency ball in 21st century Canada! For as long as I can remember, I have had a dream, of finding a magical door into a fantastical world, or at the very least, onto the set of Pride and Prejudice. 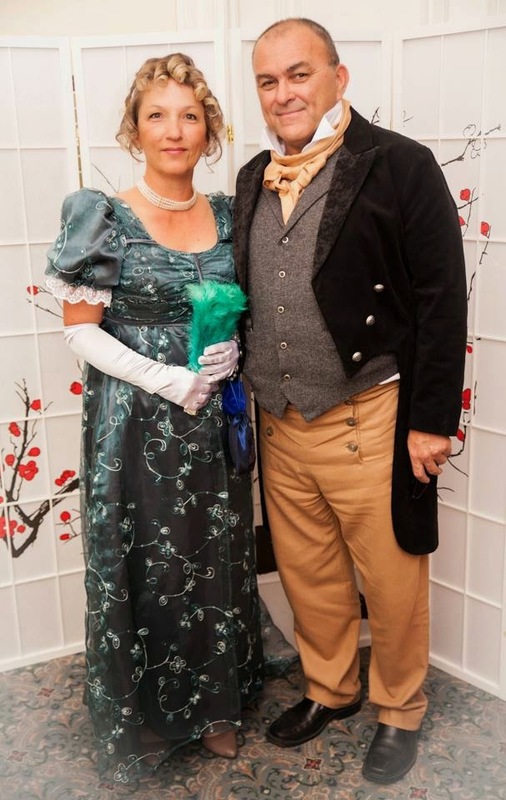 After attending many Regency and Jane Austen related events in the UK, I decided to bring this dream to life here, where I live, in Edmonton, Canada, taking every care to make it as authentic as possible in this very new corner of the New World. It started with a Kickstarter campaign last summer, in support of a Michaelmas ball, which ended up a huge success, selling out within a matter of weeks and attracting such a long waiting list that I was compelled to repeat it with a Midwinter ball this February, which also sold out and had a long waiting list. People have come from quite far afield to attend both events, as there is nothing like it at least in Western Canada, if not beyond. 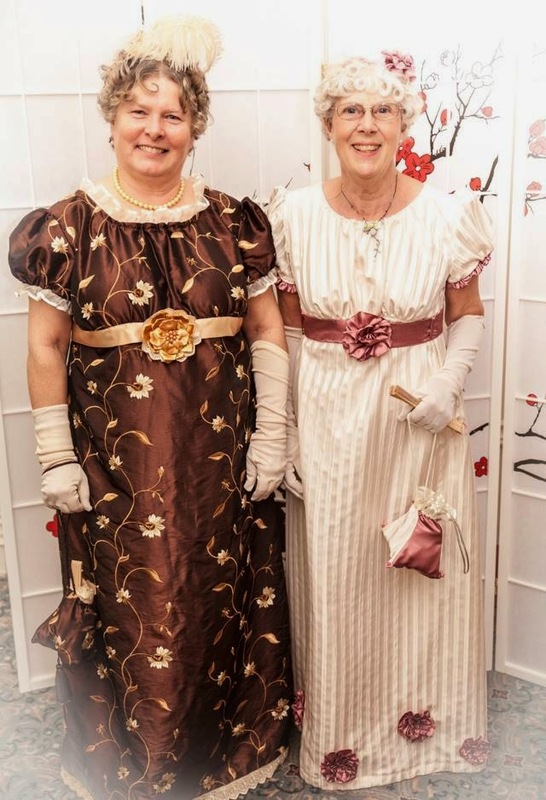 I am now offering the event again, on May 16 in our neighbouring city of Calgary, at the historic Palliser Hotel on May 16, as the Regency Springtime Ball. 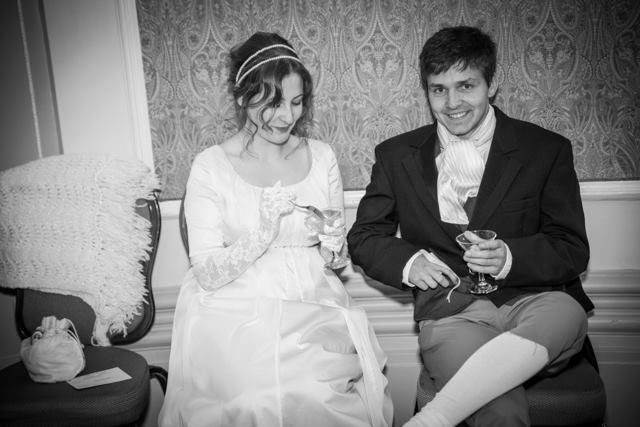 The venue is about 100 years too young to really be Regency, but it is the most elegant venue in the city, and with plaster work, frescoes and wood floors, it really does feel quite Regency. The event itself is a total immersion into history. 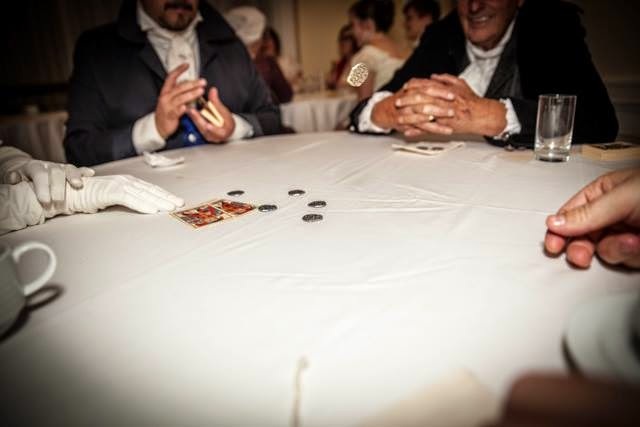 Guests come in period costume to dance the same English country dances that were popular at the time and play traditional card games using replica antique playing cards and gambling with historical coins. Each guest gets a purse of coins as they arrive, for use at the card tables, and they can cash in their winnings for tickets to various door prizes. 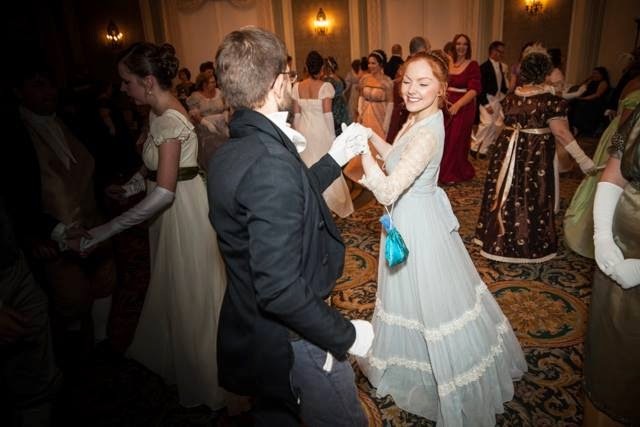 200 years ago, people would be familiar with all the dances when they came to a ball. They would have had dancing masters to teach them the latest ones, and they would show up ready to dance. This is something I wanted to recreate in planning my event, so dance lessons will be offered for the 3 Sundays leading up to the ball, where guests can learn and practice the dances we will be dancing on the night. No dance experience is required and all are welcome. For those coming from afar, I will be posting dance instructional videos on YouTube, for folks to study at home. There is an optional supper at the start of the evening featuring authentic dishes from the period, and refreshments throughout the night will also be based on historical recipes. In order to maintain the suspension of disbelief, all technology is banned in the ballroom, including cameras and phones. There is nothing that interferes with an historical setting like someone tweeting a selfie on the dance floor! 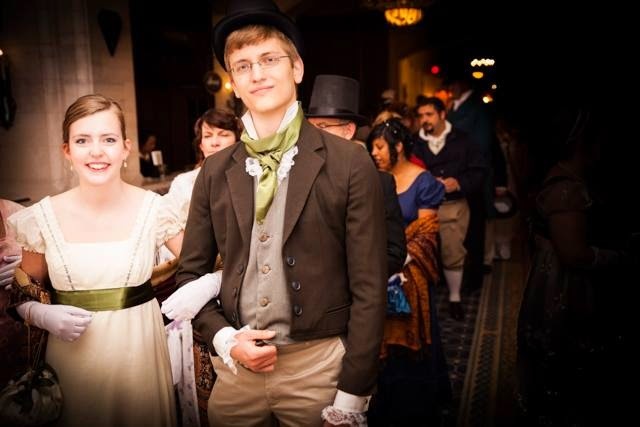 In order to ensure that everyone still has a record of the event, and of themselves in their Regency splendour, I hire a professional photographer to capture the evening, and to take a portrait of each party as they enter the ballroom. 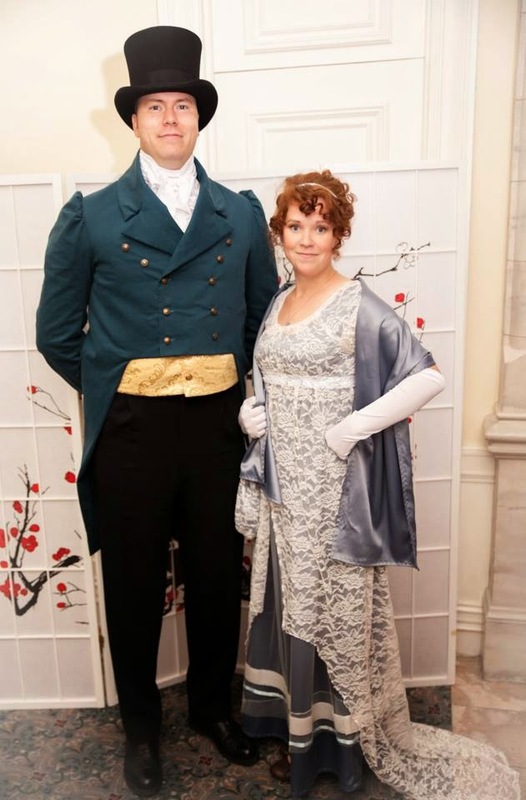 Most people do not already have a wardrobe full of Regency costumes, but can easily put something together by following these tutorial videos on YouTube. Guests can also rent a costume directly from me, starting at $25, or order something to be custom-made. I have several costumiers ready to take orders for those who do not know of anyone. Although costume is mandatory, it is also very flexible. Any effort at period dress will be accepted. Written content of this post copyright © Tara Rout, 2015. It does sound fun, and in my part of the world too. Well done to take all that trouble to make a memorable evening!